A San Francisco native who used to dance with the San Francisco Ballet, publishing—as she states on her website—is in Karen Day's DNA. Her great uncles, Robert and Edwin Grabhorn, founded San Francisco's historic and internationally-lauded Grabhorn Press in 1920. Her career spans ten years of multimedia projects, but writing remains her primary passion, coupled with the purpose of giving voice to those who lack the opportunity to speak for themselves. 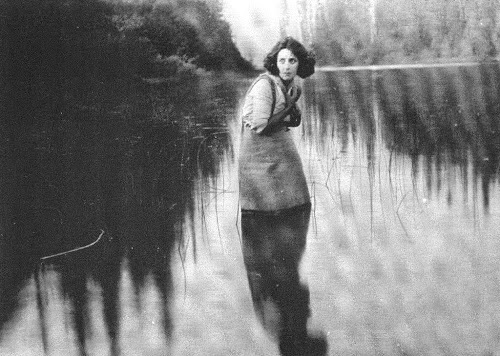 There's ironic relevance that she has now given voice to the remarkable trials of silent cinema pioneer Nell Shipman in her latest documentary Girl From God's Country (2014), which will have its premiere at the fourth edition of the Sun Valley Film Festival (SVFF). Day describes herself as "a journalist prone to dangerous enthusiasms." 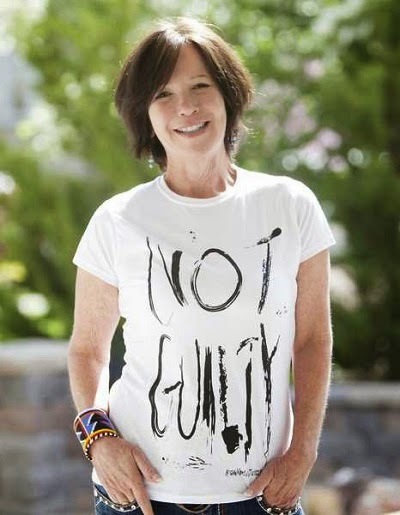 As she also writes on her website: "As a photographer, filmmaker and writer, she makes a habit of ignoring the punitive warnings of military dictators, Christian and Islamic fundamentalists, the most recent Republican administration and her Jewish mother. Consequently, her career includes house arrest in Myanmar, lunch with Dr. Anthrax in pre-war Baghdad, fashion reprimands from a warlord in Kandahar and happy hour with the Dalai Lama in Manhattan. She graduated from the University of Colorado with a BFA and a healthy dose of skepticism toward authority. Wary of overly-earnest appeals from rock stars, politicians and Sally Struthers, her professional pen and camera focus on the human element in every story, whether the subject is war-torn refugees or Hollywood celebrities." She is also an animated friend and it was my complete pleasure to lunch with her at Boise's Juniper to discuss her upcoming Sun Valley premiere. 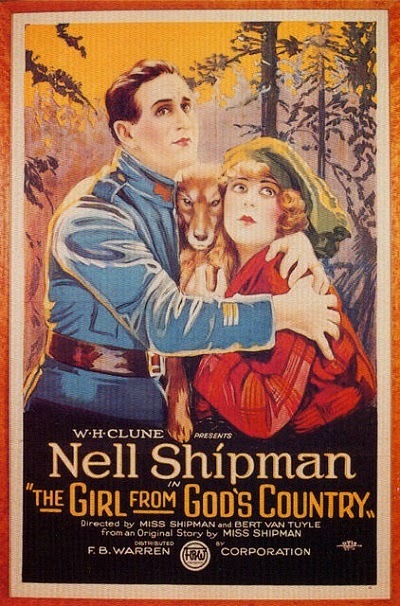 Michael Guillén: When did you first discover Nell Shipman and what was it about her that compelled you to create this documentary, Girl From God's Country? Karen Day: I write children's books about Idaho history with the First Lady of Idaho, Lori Otter. I've written Ida Visits the Capitol, Ida Hikes Idaho (which is all about the state parks), Ida Visits 150 Years of Idaho History (which was about Idaho's Sesquicentennial, made in partnership with the Idaho Historical Society). Ida is a 15-year-old character but the books are written for fourth and fifth graders. Lori Otter has put out about 60,000 of these books. She gives half away and sells half to be able to republish. They're all about Idaho heritage. I also wrote one for Sun Valley about their mascot (a little Persian horse) Little Clyde: Horsing Around in Sun Valley. Needless to say, writing these books has taught me a lot about Idaho. I was at the Idaho Historical Society looking through every single county's chronological history when I discovered a photo of Nell Shipman. It was that magnificent head shot with the wolf fur collar. It became clear to me that she had bought a bit of fame up in Northern Idaho. 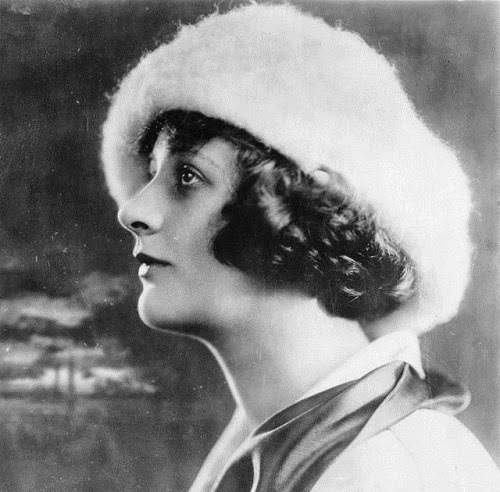 I asked myself, "How could this woman exist nearly 100 years ago as an independent female filmmaker and I've never even heard of her?" I mean, there are only about 100 people in Idaho who have made and make movies. Idaho is such a small turtle pool where a few things rise to the top, so that's why it was incredible to me that I'd never heard of her before. I then found out by talking to Janet Gallimore, the Executive Director of the Idaho Historical Society, that the archives—through Tom Trusky and Alan Virta—were at Boise State University and I thought, "Wait a minute. How could I be an independent female filmmaker making films in Afghanistan, Iraq and Africa and this woman, Nell Shipman, had busted all these walls to do it up in the Idaho wilderness?" That's when I met Stephanie Bacon, who has succeeded Tom Trusky as the head of The Hemingway Western Studies Center, which housed the Idaho Center for the Book and the Idaho Film Collection. I explained to her that I had become intrigued by the figure of Nell Shipman and they opened the archives to me. I realized this woman had not received the recognition she deserved for all she had done and the legacy of her contributions. I found a personal letter of Nell's in the archives, which I've included in my documentary, where she had applied to the Motion Picture Home for the Elderly to seek assistance. Even though she had written over 100 films, they said they couldn't recognize any of her films because they were done before the existence of the Screenwriters Guild and the Actors Guild. They said they couldn't help her, even though Nell was living on $3 a month at a dude ranch dependent on the kindness of strangers. That's how she died. And it wasn't just her. 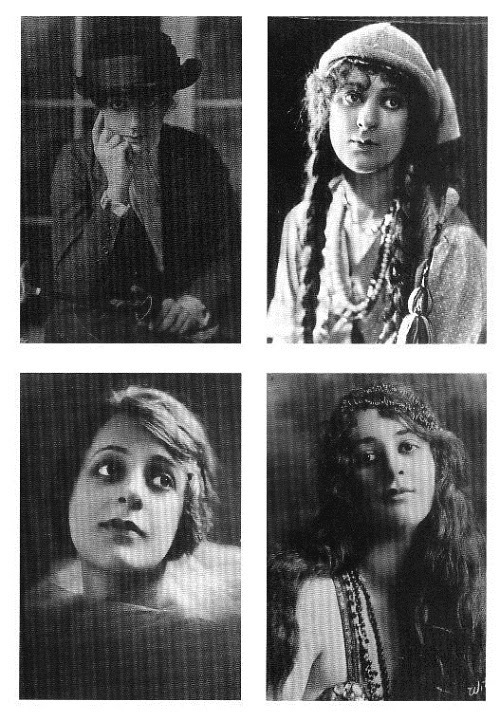 There was quite a trajectory for several women filmmakers between 1897 and 1925 that—as I started to do the research—had all been buried once Wall Street got involved with Hollywood. I went on this quest to find out why—once Tom Trusky died—Nell and her great films had fallen back into obscurity (except in Canada). Why had she not been profiled on PBS? That question led me into the archives where I researched for six months. It led me to meeting Nina and Lani Shipman, Nell's granddaughter and great-granddaughter, both actors, to learn about Nell's son Barry Shipman and his archives, also at BSU. Then to New York where I met Jane Gaines who's been running the Women Film Pioneers Project for 20 years. In the film, Jane explains that when she started doing her research she had a few names like Alice Guy Blaché to start with, but from Blaché there was a 50-year jump to Ida Lupino. By the time she moved to Columbia 15 years later, she had pages that were three feet off the ground. She had intended to publish the information but now there was too much. That's why her research went digital as an online resource just last year. Looking at that resource, I discovered there was an entire generation of women filmmakers—beyond the great estate of Alice Guy Blaché—from Czechoslovakia, from Russia, the first Hispanic American female Beatriz Michelena in 1911! Jane gave us access to so much. Guillén: Isn't that a key insight of women's studies? That history has been written by heterosexist males who have purposely erased the feminine record to accentuate their own? Have most of your films focused on women's issues? Day: No. I bill myself as a humanitarian journalist and filmmaker. If you look at my website, my focus is to give voice to people who can't speak for themselves and don't have the opportunity. I have to admit that—compared to the work I've done in Afghanistan, Iraq, the South Sudan, or Uganda—I had to talk myself into this project. It was so compelling that I couldn't not do it, but I realized that it felt like a luxury. Was it really going to save someone's life? It wasn't until I educated myself about the cultural context and the impact of how this gendered disparity has perpetuated into the present day that I realized, even now, it was influencing my nine-year-old son's perception of women. I realized it was about giving voice to this generation of women filmmakers of the silent era, let alone all the women today who don't have opportunity to speak for themselves due to gendered disparity. It's just like Patricia Arquette protested at the Academy Awards®: "Pay us the same!" I didn't willingly go into this film because it felt a bit self-indulgent to do a project about anything Hollywood-related, compared to the work I'd done overseas that was trying to—and had succeeded—in making a difference in people's lives on a humanitarian basis. But then I realized it was the same thing: I was giving voice to these women and their work, paying tribute to them, and also giving voice to this problem about gender disparity. There's really no documentary out there about the subject. We just happened to create it by profiling Nell Shipman. That's the beauty of it. In trying to pay tribute to Nell Shipman through this documentary, she will have no idea of the impact she's going to make and how her story is pertinent to what's happening to women right now and the keystone of shifting awareness. But one of the things I tried not to do with this film was to make it a feminist manifesto. This is something I've struggled with. I wanted it to be a character-driven story because Nell is an incredible character who led an amazing life, right? She lived in the wilderness and that's all so cinematic. We did re-enactments of her incredible life. Much of what she did was dangerous. She fell through ice that was 4 below. She ran the rapids of the Salmon river without a boat. She drove dogsleds. Even Geena Davis, who's launching the Bentonville Film Festival with its focus on women in film, addresses the fact that—even though there's a gender bias when, say, Hollywood directors are setting up a scene—at the same time, it's an old boy's club and the only way women can get ahead is by working with them. You bang at the door by continuing to do great work, by voicing the problem, hoping these films will find their audience. Guillén: Tell me about the Bentonville Film Festival. I've not heard of it. Day: It's a new film festival that Geena Davis just started this January, sponsored by Walmart, and to be held in May in Bentonville, Arkansas. It's to give voice to women filmmakers, screenwriters and minorities. Interestingly, we were already addressing these issues of gender disparity in Girl From God's Country before Bentonville was even announced. Guillén: Your focus on gender disparity in Girl From God's Country is timely and speaks as well to the social responsibilities of cinema, which some might argue took more risks during the period of the silents. 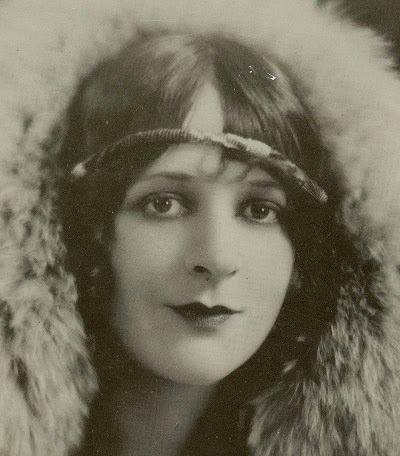 Day: It was Nell who led me to that when I was sleuthing out what happened to her, and other women filmmakers like her. Guillén: Do you, offhand, know if Nell's films in the collection out at BSU are in any condition to be shown? Day: The films that Tom Trusky remastered, we worked on them as well. I had a special after effects editor work on them, a woman (I struggled to find female crew members all the way through). Some of those films are compromised, but they tell beautifully a story of what Nell was up against technologically, even with crank cameras. Guillén: Speak to me of the value of making this documentary with an all-female crew? 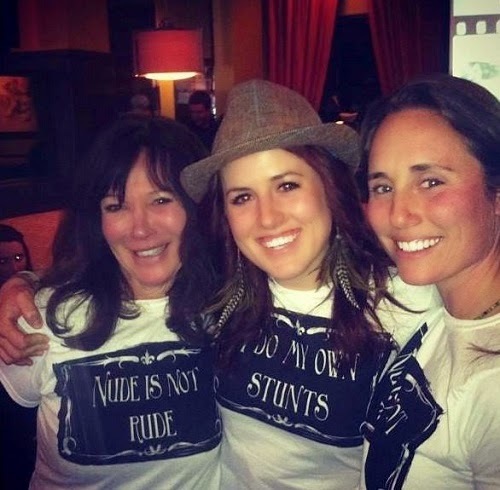 Day: The all-female crew for me was about showing the progress independent film has made. I used videographers from all over the United States; they weren't hard to find. I had enough connections. 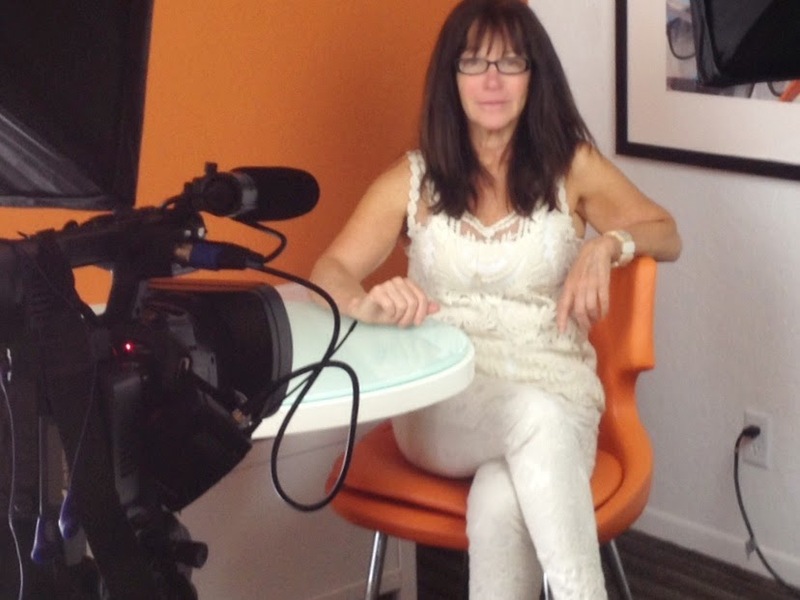 But here in Idaho?—you know this—I was challenged to find qualified female videographers. I hired two independent cinematographers, both from Ketchum: Meredith Richardson, who works for ESPN, and Whitney McNees. Neither had shot a documentary before. This film allowed me to be a mentor, which was fabulous, and it was their opportunity to learn about history and their obligation having this power with media. This was how the 10-minute short Finding Nell came about. It came from their experience. I'll never forget how last year, in February, after we'd been working on the film for a year, Meredith was shooting at the X-Games, Whitney was shooting at Sundance, and they both sent me pictures. There were tons of camera people but they were the only women behind cameras at both events. They began to come to consciousness that—not only were they the only women shooting—but they had an obligation to do great work. Dance backwards in heels? We can do it! Girl from God's Country-Short from gcg productions on Vimeo. Which reminds me of when Meredith and Whitney were helping me film an interview with Stephen Gong, the Executive Director of CAAM. Guillén: I know Stephen! He's in the film?! Day: Yes. And I want to go on record how much I love Stephen Gong. In the film, you'll see his interview—of which I could have made the whole damn documentary about him—but, we were talking about the Chinese American female filmmaker Marion E. Wong and her film The Curse of Quon Gwon (1916). He was talking about how you have to empower women's voices. Anyway, he finished his incredible—it was really a soliloquy—and there was complete silence and then Meredith and Whitney suddenly started clapping. When we were finished shooting, I told Stephen I would gladly polish his shoes! He's so articulate about minority voices that are not being heard. Guillén: He's a great guy, has steered CAAM well, and worked previously for the Pacific Film Archive at UC Berkeley. Day: People really stepped up to help us make this film because we didn't have a lot of money. Stephen introduced me to Greg Mark who was a professor in Sacramento whose great aunt and great grandmother were in this first Chinese American film, The Curse of Quon Gwon, which was saved by his family in three generations of women's basements in Oakland. He had the 35mm film converted and gave us the rights to use the film in our documentary. So what started out to be Nell—and I knew her life was a mirror of this generation—opened the floodgates to all this fabulous footage. We got the Zora Neale Hurston Family Trust to give us the rights to the usage of the only footage Zora ever took as a documentarian filmmaker. Guillén: What will a woman's eye behind the camera bring to the table? Day: Often women, even when they're portrayed in a role of responsibility—let's say, a doctor performing brain surgery—often their dialogue is about their relationship to whatever man is alongside them, instead of actually talking about saving the person's life who is beneath the scalpel in their hand. From my point of view in this film, I wanted to make sure that—though the film is character-driven—it didn't look like we focused solely on women's emotional states, their relationships, the challenges they had as females. I wanted a more human picture, especially as a woman being conscious of how we're often portrayed at less than our maximum potential when we're seen on screen. I'm committed to people learning about these great women and—not only how they overcame greater challenges than women face today—but how the element that doomed them continues to run the machinery today. I hope the film becomes a tool to make positive change. Guillén: Do women have more power behind the lens than in front of it? Day: Much more. But of course, we both know a woman cinematographer has never been nominated for an Academy Award®. Guillén: When I met you last year at the Sun Valley Film Festival, you were just starting to secure the funding to make the film. It's been a long journey for you. Can you speak to the key moments in that journey? You started out with a Kickstarter campaign? Day: We made it: $27,000. That was my third successful Kickstarter campaign. Now I can actually say that I have several people that believe in what I do and how I'll go to any end to deliver. The first half of our funding came privately from two key figures: Karen Meyer, here in Boise, and Eileen Barber who owns Keynetics. Eileen is very active in STEM (science, technology, engineering, and math) for women's empowerment. The next chunk of money was the $27,000 from Kickstarter, but you actually walk away with $25,000. A friend gave me an additional $5,000. Then one of my executive producers Tracey Goessel, who runs the Silent Film Preservation Society, and whose husband manages the Bing Crosby Archive, came in at the last 10 hours of our Kickstarter campaign. We still needed to raise $10,000. All of a sudden I got this note from Tracey, who I'd never met, saying: "I can see that you need this to get over the top." I went to meet her. She has the largest personal collection of Pickfair memorabilia in the world. You should see her house! It's fantastic! She told me, "I just want to support people who know how great these silent stars are." Tracey recently helped remaster Douglas Fairbanks's The Thief of Bagdad (1924). 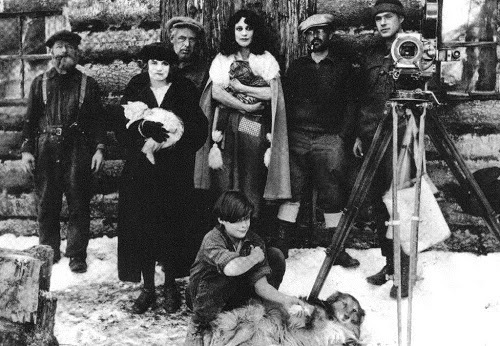 We've been talking about taking Girl From God's Country to Pordenone, even though it's not a silent film, because it has so much of Nell's silent footage incorporated into it, and it pays tribute to her and other silent cinema pioneers. We're also hoping to hear back on a grant we've applied for to cover the expenses of hosting the screening here in Boise, the screening in Los Angeles for Geena Davis to benefit her institute, and also a screening up in Sandpoint at their historic Panida Theatre (which is over 100 years old). Guillén: What advice can you give to young Idaho filmmakers who are trying to find grant money? How does one go about finding what's available? Are there resources where one can hunt for specific types of grants? How does that work? Day: Well, in Idaho you have to be transparent about that. There's not much. That's one of the reasons I'm having the benefit screening of Girl From God's Country at the Egyptian Theater. It's to establish the Nell Shipman Grant for Emerging Filmmakers. I did approach the Idaho Film Collections at BSU to pick up the responsibility for the grant but they didn't want the ongoing responsibility. The difference between myself and a young filmmaker, however, is the fact that I have a history of producing purposeful media. I've got a long track record now. When you're a young filmmaker and you have a vision and you have passion but you don't have anything behind you, people are less likely to invest in you in a big way. And if they were in Hollywood, they might be young, but they'd feel more like a 1,000 years old in terms of the torture they'd be put through. Guillén: How did you get started as a filmmaker? Day: I was a print journalist and an independent producer for NBC Nightly News and for various news outlets in the Third World, often war zones. I found out that the stories that were not being told were about women and children in those areas. They're the ones I could maybe do a 30-second spot on, but they preferred I get the exclusive into the $100,000,000 Taliban detention center. I couldn't give away a fabulous story about the women and children that were incarcerated for moral crimes in Afghanistan and how our imposition of rule of law in the Sharia 1000-year-old culture was sending more women to prison with their children, which was what my TED talk was about. Guillén: Congratulations on that, by the way! Day: Thanks! It was on my bucket list. I got started in filmmaking for exactly those stories about women and children that I addressed in my TED talk, the ones that were the most disenfranchised, needing to be told, but I had no other way to start telling them. Yet, I wasn't able to sell this beautiful segment I produced about the women and kids in Afghanistan. I sent it straight to Harpo Productions, along with exclusive footage from the last three days before U.S. troops invaded Iraq where we went to the sites where weapons of mass destruction had allegedly been seen on the aerial satellite photos; but, there was nothing there! I provided 100 hours of footage to Oprah, but she said, "The troops have already crossed the border." I was so angry! I said, "That's it. I'm not doing this work anymore." Harpo wasn't interested in the footage. Nobody was interested in the footage. Everyone was on the war boat, right? I came back to Sausalito and was on my way to Cuba on a cultural exchange with Deepak Chopra and I said to the woman who was organizing the exchange, "I'm done with risking my life for this war zone crap. It doesn't matter. Nobody wants to hear the truth. I just want to meet the Dalai Lama and go meditate." At that moment she took the picture on her desk, turned it around, and it was a photo of her arm and arm with the Dalai Lama. She said, "I just helped repatriate 1,000 Tibetans here in San Francisco. I can introduce you to the Dalai Lama." I went to Cuba and one week later I was in Dharamsala. I traveled with the Dalai Lama for three months and made my first documentary. I worked on Ethics and the World Crisis (2009) for San Francisco-based Link TV. That's how I got started making documentaries. I learned from that project. 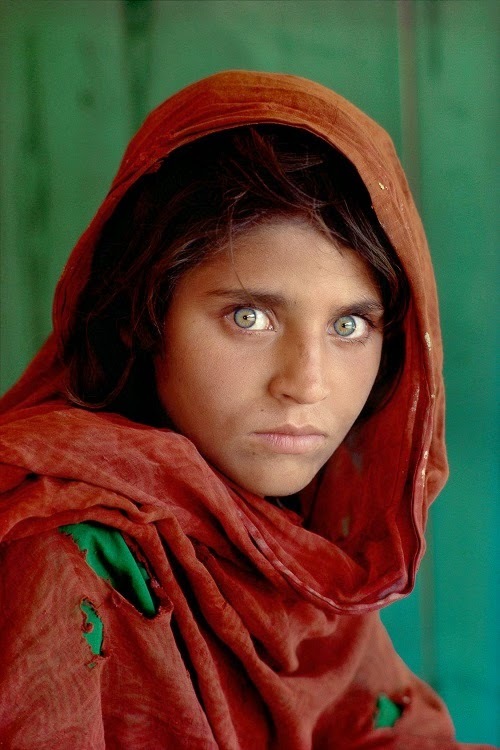 I was traveling with Steve McCurry—the famous photographer from National Geographic who took the portrait of the Afghan girl with the green eyes—who was on assignment to follow the Dalai Lama for three months for a National Geographic story on Buddhism. We had this incredible opportunity to be next to His Holiness and I saw the hunger for people to know these stories that weren't being told. There is part of me, I have to admit, that feels that—after coming from writing—filmmaking is a luxury in storytelling. That's why I'm attracted to silent film because of its visual storytelling. When you have to rely on words, there's that magic when the muse comes through, but with filmmaking there is a luxury to being able to be behind the camera and show people the magic. Americans are lazy and they want to be shown more and more in shorter and shorter amounts of time. They want to experience the magic and go on to the next experience of magic. They're gluttonous. If you have a story to tell, being a filmmaker is a gift. And what a gift! What I haven't hooked into is film for pure entertainment's sake. I don't know if I can make a film like that because I've come to filmmaking from a different way. Guillén: But entertainment, as a value, shifts. Documentaries are on the rise, I think, because (primarily adults) are entertained by information. So never say never. Tell me how you're feeling about attending this year's edition of the Sun Valley Film Festival. Day: Ethics and the World Crisis, the film about the Dalai Lama, opened the Sun Valley Spiritual Film Festival years back, and that festival has gone the way, but now we have the Sun Valley Film Festival in its fourth year. I've had films in SVFF for three years in a row. I opened the first SVFF in 2012 with Between the Earth and Sky that I made with Harvard regarding the doctors in South Sudan at the time South Sudan had become the newest nation in the world. Then I spent a year making From the Ground Up, which premiered at SVFF last year. So this is my third year with a film at SVFF. I'm excited for Idaho and my two local cinematographers who were born and raised in Ketchum. This is a triumph for Idaho, not only as an ambassadorial statement regarding female filmmakers, but as an ambassadorial statement for the state itself. The film discusses why creative people choose to live here. Wherever I travel—New York, Paris, Africa—they ask where I'm from and when I tell them Idaho they always ask why? That's what Girl From God's Country addresses and I believe the film will serve as a cultural ambassador of what's best in the state, and why an individual like Nell Shipman would have come here, or me, or you.